As an artist, the most concerning thing for you would be to sell your art. Internet has fortunately made things easy for the artist lot. Now, you can easily sell your art online through various online platforms for artists. One such platform is ShowFlipper. ShowFlipper is an online art studio and an artist management company. It provides emerging and amateur artists an art showcase and art selling platform. ShowFlipper has an audience of serious art buyers, art collectors, art dealers, art critiques, art agents and art affiliates. SF Mega Contest - where you can participate and compete with brilliant artists from around the world. TRP Model - where you can earn money with every unique view on your artwork. Linking tools - ShowFlipper provides easy linking tools from your profile to your social media and online profiles. Fewer Promotions, More Creations - Its creator profile gives you freedom from investing your maximum time in promotion of your art. Instead, you can use this time to create more art. We are trying to solve real-time problems for creators around the world. 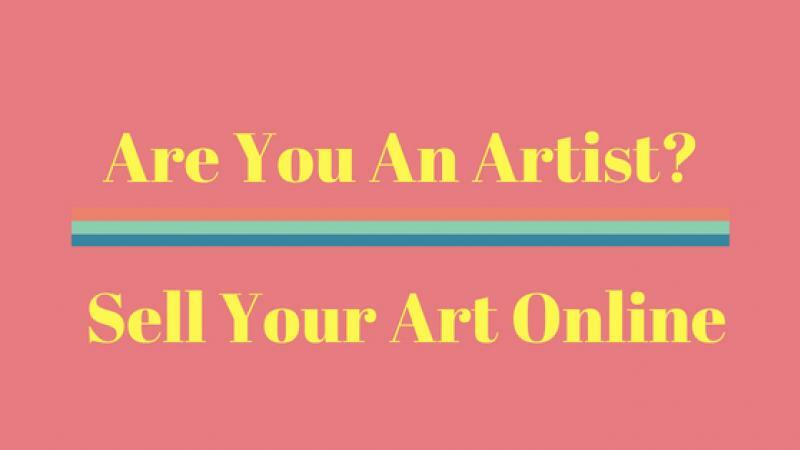 How are we helping you sell your art online? With the help of advertising partners, we have monetized creations. And these advertisers pay artists whenever someone views their profile page or artwork. Imagine a social network that pays you when someone views your profile page or even artwork. With the help of our worldwide affiliate’s network, we have been successful in selling creations on commissions. We have built intelligent tools that save their time and now they spend less than 3 minutes promoting their creations. We offer creators the option of live chat with their buyers in real time and close deals instantly. Something that has never happened before. We bridge the gap between a gallery and an artist and imagine all artists as galleries. We are building a marketplace for artists, writers, and designers where they can find great deals on various creations and get whatever they need instantly. If you are a painter, digital artist, photographer, sculptor, jewelry maker, jewelry designer, fabric artist, fabric art maker, poet, or a writer; ShowFlipper is your partner in growth. We offer you such amazing benefits along with your creator account, that you need not go anywhere. With artists from around the world and 7000 plus creations, we are the best platform for artists to jumpstart their career and make six times faster money from your artwork. Do you want to sell your artwork and make money? ShowFlipper is here for the benefit of all the emerging and amateur creators who are looking to sell their artwork online without getting burnt. It is surprisingly a very different and unique platform for artists to sell art online. If you want to start making money with your artwork, come join us.